The Pokemon television series has been around for a while now—long enough that Ash Ketchum's character design has changed a number of times over the years (sometimes, not so subtly—the same goes for Pikachu). Now that there's a new game coming, there's also a new anime series to go along with it. Said season starts airing in Japan on October 17th, but we can already see Ash's new design—it's the last Ash on the right in the image above, which was posted to Reddit by 009reloaded. 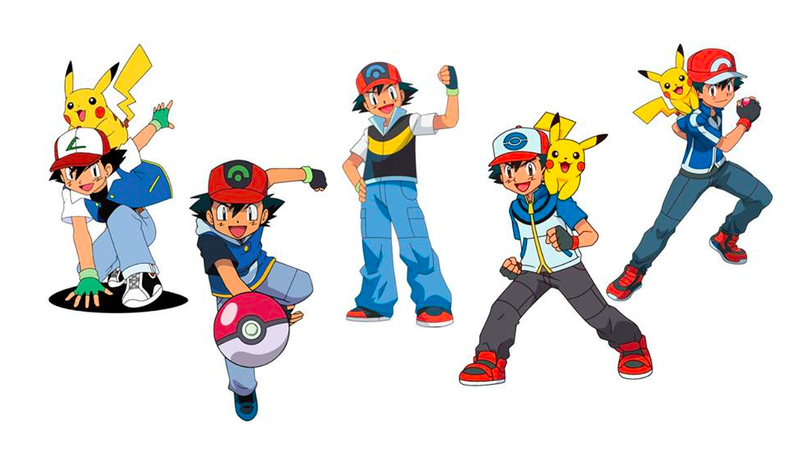 Overall, the design changes continue to make Ash more and more svelte. A sign of different fashion and beauty standards over the years? Either way, I don't know about you, but the latest Ash looks cooler, if not classier, than earlier designs. His clothes are fitted, making him seem less like a kid. And the hat's minimalism may not be as iconic as original Ashs' hat, but it manages to convey the idea of a Pokeball effortlessly. I like the new Ash, although I appreciated Pikachu better when he was chubbier. Cuter that way and all. What do you think? Remember that you can annotate the image!